Welcome to the Grand Strand! This diverse area in South Carolina stretches over 60 miles of sandy beaches and includes Myrtle Beach as well as surrounding communities from Little River on the north end all the way south to Pawleys Island and part of Georgetown. CRG Companies includes in-house teams of construction, design, and real estate professionals serving Myrtle Beach and the surrounding Grand Strand area. We feature specialists in our home automation, custom carpentry, and outdoor living departments as standalone services or part of our custom homes. Whether you want to build a custom home, remodel an existing home, buy a listed home, or sell your home, we have the highest qualified professionals in the area dedicated to setting an example in their industries by exceeding clients' expectations and perfecting every detail. Visit one of many historic communities, attend an arts/craft festival at the Myrtle Beach Convention Center, take a deep sea fishing excursion, cheer for your favorite team at our professional baseball stadium, or relax in the warm southern sunshine with access to over 10 miles of public beaches! Ready for a worry-free life in Myrtle Beach? Find an exquisite luxury home along the Grand Stand. Browse through hundreds of magnificent luxury properties in the Myrtle Beach area to find the perfect coastal escape. We offer the latest Myrtle Beach real estate listings to ensure that you'll find the home that you've always dreamt of. Coastal living at its finest! Myrtle Beach condos offer ease-of-access to shopping, dining, and entertainment. Myrtle Beach oceanfront condos provide a spectacular view of the Atlantic beaches and golf course condos provide a peaceful retreat from the city. Remember to include Litchfield Beach condos, Pawleys Island condos, Murrells Inlet condos, Surfside Beach condos, and Garden City condos in your search! Are you looking for a custom home builder in Myrtle Beach? Let us build the home of your dreams. CRG Construction has a variety of custom floor plans and designs to get inspired by. You'll benefit from a home builder that applies an innovative, meticulous, and specialized design and building strategy that we've implemented to build an impressive portfolio with many custom homes in Myrtle Beach. Don't hesitate on building the picture-perfect home you've always envisioned. We pride ourselves in having an innovative, cutting-edge custom home design team. Your dream home will be completely unique, with distinctive features and complete function to fit your family's needs. Our in-house design team will use your personal style and preferences, along with our expertise, to completely customize your home. We'll provide a 3D rendering to ensure your ideal interior and exterior comes to life. Our website makes it easy to get started. Browse our CRG custom-designed floor plans. All of the home plans found on our website can be modified. Whether you choose to modify an existing floor plan or choose to start the design process from scratch, the CRG home design team is here to assist throughout the process! There is a thriving Myrtle Beach neighborhood designed to suit every lifestyle, budget, and family! Some of the most sought-after Myrtle Beach neighborhoods include: Grande Dunes, The Dunes Club, Briarcliffe Acres, Plantation Point, Pine Lakes, and more! View all Myrtle Beach communities! Do you have a question about Myrtle Beach real estate? Contact us or call (843) 651-8460! Looking to build a foundation of timeless memories? Let us assist you in finding a residential lot in Myrtle Beach. Locate an exclusive, exquisite residential lot that will suit all your needs, whether it is incredible views, beachfront access or just simple convenience and close proximity to attractions. We'll use our vast experience to find an exceptional lot so you can build the home of your dreams. At CRG Companies Inc. we can help you with the whole process, from buying a lot to designing and building your dream home. Are you searching for an affordable home or an investment property? We make it easy to find an affordable Myrtle Beach home. Begin by visiting our Myrtle Beach foreclosures and short sales page. Our expertise allows us to provide you with the best possible assistance in purchasing a foreclosure or short sale property. Information is updated daily to bring you the hottest listings in the Myrtle Beach area! Get a head start on finding an affordable home that will meet your budget and expectations. Receive foreclosure listings in your inbox as soon as they become available! Register now! Experience luxurious waterfront living by purchasing a Myrtle Beach waterfront property. Myrtle Beach offers a variety of oceanfront homes, riverfront property, inlet property, marsh front homes, creek front property, and canal homes. Pawleys Island, Litchfield Beach, Murrells Inlet, Surfside Beach, Garden City Beach, North Myrtle Beach, Socastee, Conway, Carolina Forest, and Little River offer waterfront properties along the Grand Strand. Myrtle Beach is also the perfect destination for golf enthusiasts! Myrtle Beach golf course communities provide an opportunity for residents or vacationers to live on or near a golf course in Myrtle Beach. With over 100 local golf courses, Myrtle Beach has quickly become one of the hottest golf destinations in the nation. The temperature and year-round climate makes it possible to tee up any time of the year. Looking to purchase a home along the Grand Stand? There are a number of close-knit, family-friendly neighborhoods and communities to choose from. Need to escape the fast-paced city life? Find a serene coastal cottage in the oceanfront community of Garden City. Looking for an uncomplicated life of convenience and fun? Find a beachside paradise with an oceanfront condo in North Myrtle Beach. The communities of Myrtle Beach offer a true Southern experience by the sea, with endless opportunities to swim, fish, sail and sunbathe. Regardless of your lifestyle preferences, you'll find what you're looking for on the Grand Stand. Are you curious about a Myrtle Beach home or investment property? Would you like to receive information about the Myrtle Beach real estate market or our Home Design & Construction services? Call (843) 651-8460or contact us today! 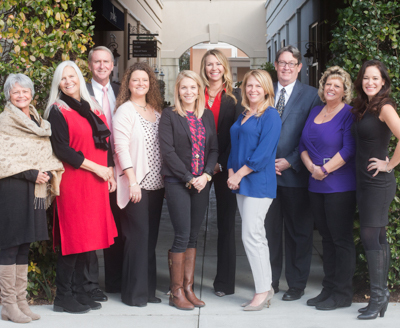 Meet with our design, construction, or real estate experts!